The Starbucks Vanilla Bean Frappuccino is perfect for summer. Everyone loves a vanilla frappuccino. Have your ice cream and drink it too! That’s how I feel about the vanilla bean frappuccino from Starbucks. 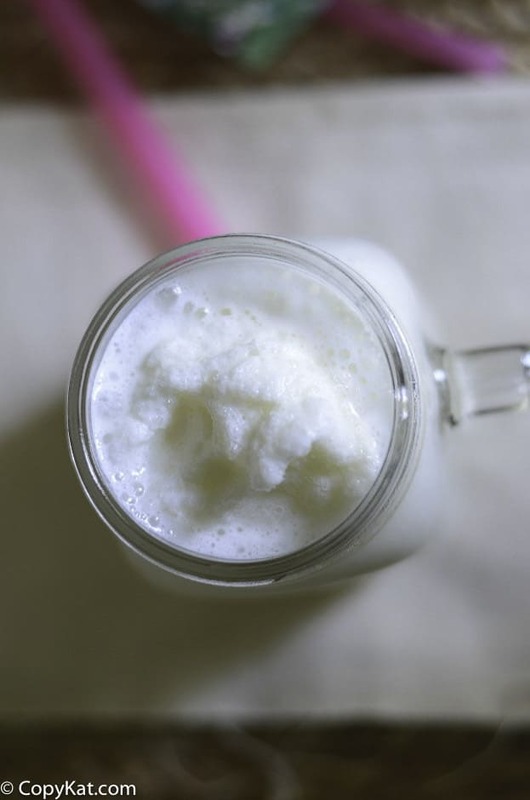 It’s a delicious cream based drink that is like melted ice cream heaven in a cup. It’s one of their most favorite frappuccinos even though it doesn’t have any coffee in it! If you are heading to Starbucks with your kiddos and they need something to cool them down, the vanilla bean frappuccino is the answer! Starbucks offers a complete line of blended cream based frappuccinos for its patrons to enjoy. They range from coffee-based favorites like the chocolatey mocha frappuccino to the extreme non-coffee drinks like the s’mores frappuccino and the new caramel waffle cone. The vanilla bean falls into the mild range of blended cream drinks but is still wildly popular. 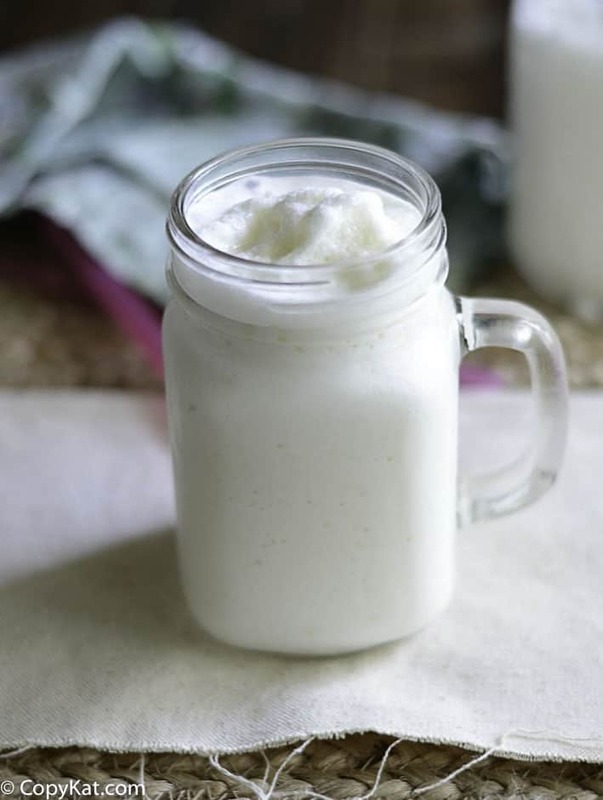 One of the great things about the vanilla bean frappuccino is that is oh so easy to make at home! All you need is a few ingredients, and you are ready to be sipping pretty. The key to this drink is made sure it is extra vanilla-y. You start with vanilla bean ice cream, some milk, and ice and add a few drops of vanilla extract. The extract gives it that oh so creamy and delicious vanilla flavor that we all love. Also, feel free to add whipped cream on top! I enjoyed mine without, but it’s extra yummy with a dollop or two! Do you love Starbucks recipes? Try these copycat recipe favorites. Recreate the famous Starbucks Vanilla Bean Frappuccino at home. Add all the ingredients, to a blender. Blend until smooth. Pour into a glass, top with whipped cream and enjoy! 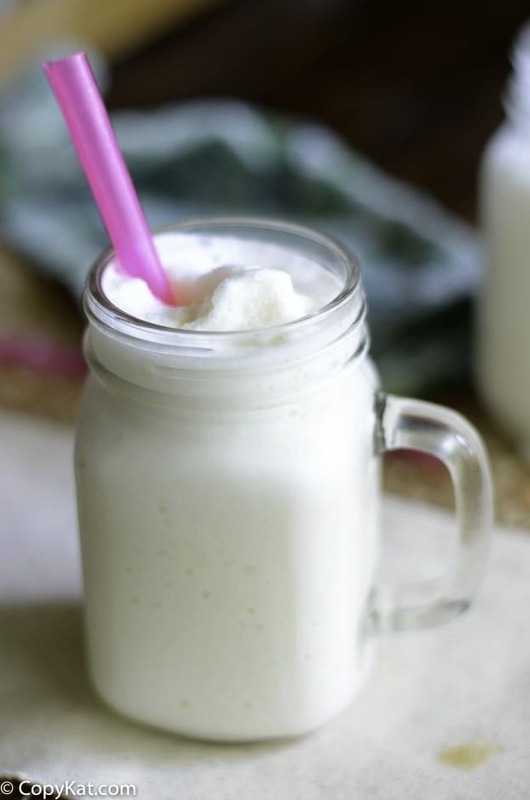 This recipe makes two vanilla bean frappuccinos for you to enjoy! It was a typo, it “ce: was supposed to be ice. How many oz does this make? 8? 16? 24? It makes 2 12 ounce servings. Thankyou for sharing this easy recipe with me!! I have been looking for a recipe and you did it!!!!!!!!!! She’s recommending ice cream because Starbucks uses a vanilla bean powder that they don’t sell. Vanilla bean ice cream is way easier to obtain than powder. Which powder? There’s so many to choose from. We all make mistakes. The recipe looks so refreshing and delicious. Nice recipe but incomplete. What do you do with the vanilla extract? When do you add the vanilla extract? You add it into the blender. why do you list vanilla but then say do not add to ingredients and never mention it again. Thanks it sounds delicious. My bad, seriously. You add it in.